Thousands of protesters poured out of the capital's slums towards wealthier neighborhoods in the city center, where there were reports of rioting and looting alongside peaceful protests. 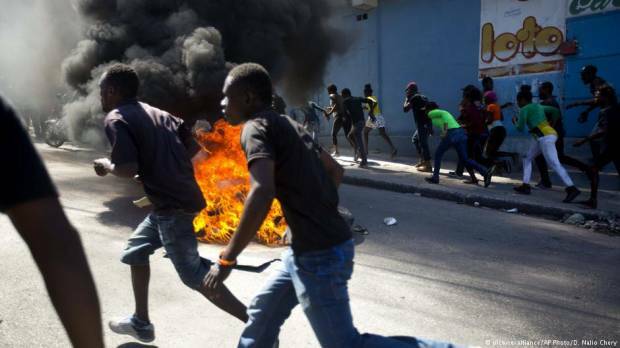 Demonstrators want President Jovenel Moise to resign over a corruption scandal and for failing to improve the economy in the Western Hemisphere's poorest country. The government has been quiet in the past several days as the opposition continues to push for Moise's resignation two years after his inauguration. During his election campaign, Moise promised "food on every plate and money in every pocket," but 15 percent inflation rate has eaten into people's purchasing power. Around 60 percent of Haiti's population of 10.4 million lives below the poverty line of $2.41 (€2.14) per day, according to the World Bank.